Just a short note: I'll be in Vienna, at the MFPL, next Monday to talk about my path as a scientific illustrator to PhD and post-docs. Excited to meet everybody there and discuss about career options after research. 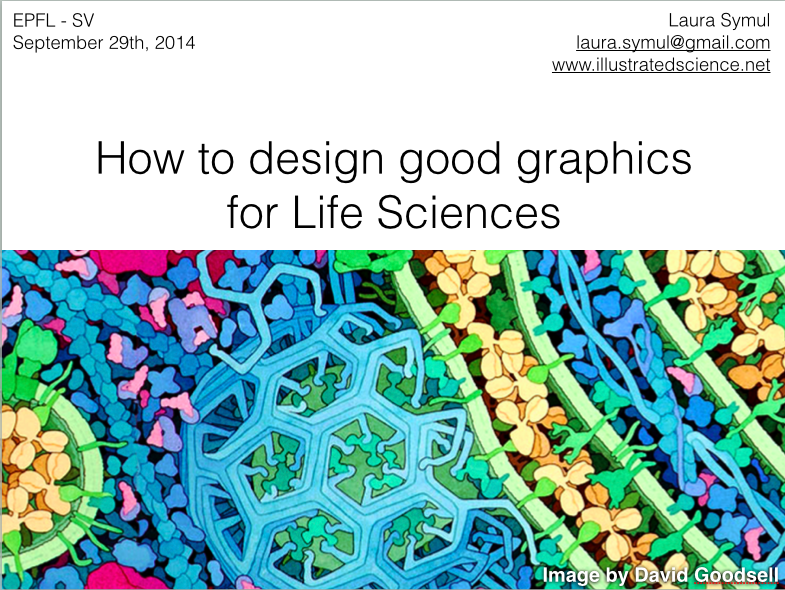 Almost a year ago, I gave the first workshop "Figure, graphics and illustration design for Scientists". Since this first workshop, 8 other sessions have followed in 3 others institutions. Each of them had their challenges and surprises - the main one being to adapt to the audience. Physicists and Biologists do not share the same struggles when it comes to figures for example - but the principles behind a good figure are the same for everyone. The specificity is more related to the tools that people are familiar with in the different fields and we had very interesting discussions about the differences in graphic standards in those fields. 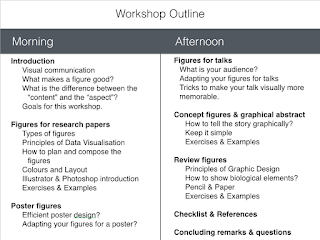 Since there was a lot of request for this workshop from the beginning, I wrote a supporting document that I distribute to the participants besides the slides I use during the workshop. It helped me to be structured and have a good story line for this workshop and I hope it is useful as a future reference for the participants. If you are interested in this document, drop me an email. And of course, if you are interested in such a workshop for your institution, get in touch. Last November, I have been invited by an association promoting science & culture in my hometown - Liège - to give a talk about "Mathematics (hidden) in Biology" for an audience which was mainly composed of high-school students. Having done my PhD in computational biology, it was actually hard for me to find fields of Biology in which math are not used nowadays... Math or computer science are used everywhere - in every fields. 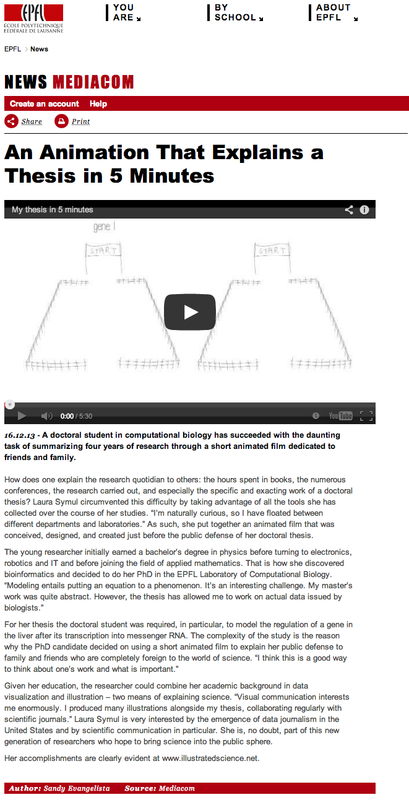 However, there are still a lot of biologists that do not use math/comp but then, they closely work with computational-colleagues. It was a pleasure to give this talk in the renewed city theatre and to meet my biology teacher from the good old days of highschool. A repetition of this talk is schedule for the 4th of March 2015. Looking forward. 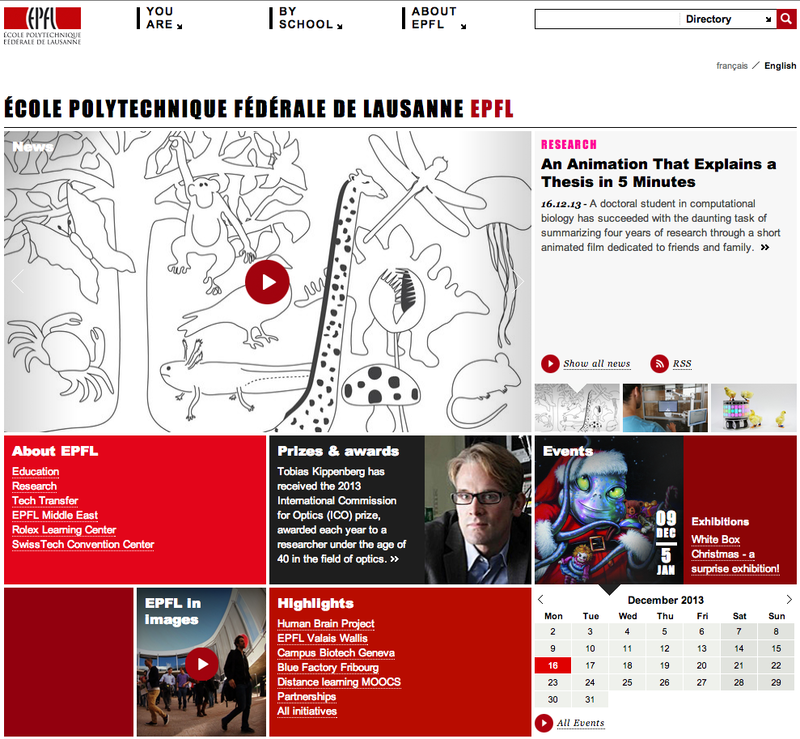 Last September, I gave my first workshop at EPFL for PhD students and postdoc of the Life Science faculty. 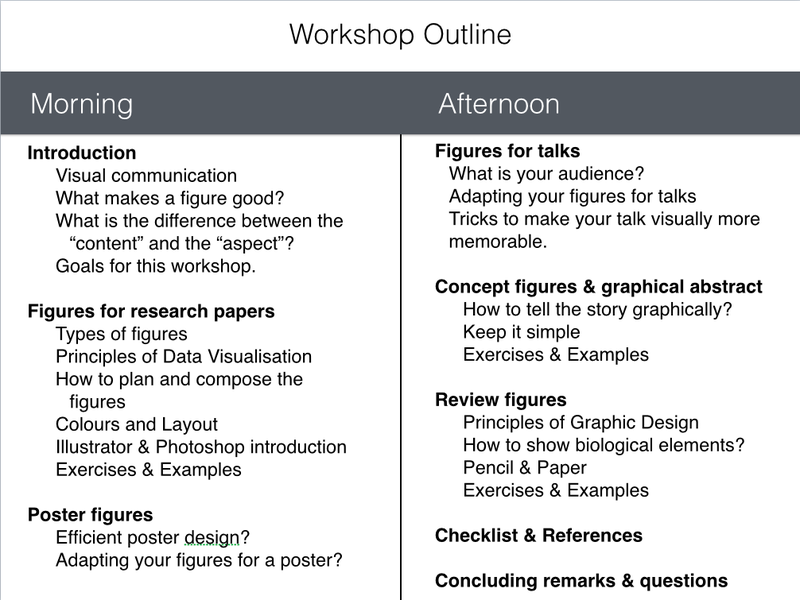 This workshop aimed at providing tools, tips, ressources and help for scientists that are willing to improve their graphical skills and their figures for publications or talk. It went actually so good that 4 others workshops at EPFL are planned next year: 2 exclusively for the Life Science faculty and 2 for any PhD or postdoc of the school. 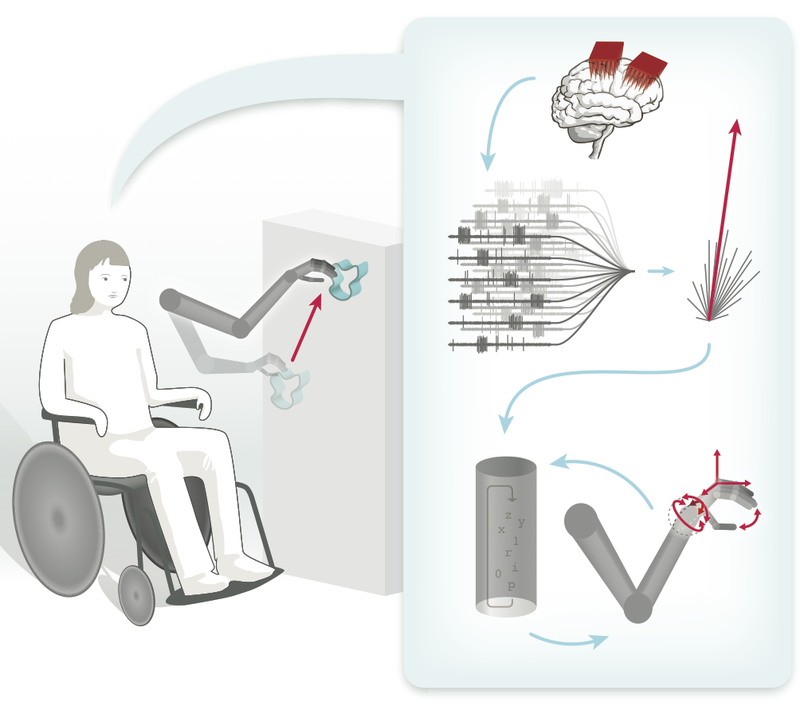 Also, the news spread quite fast and there will also be workshops for the Swiss Institute of Bioinformatics, for the NCCR in Affective Science (workshop) in Geneva and for Debiopharm. So, it looks like 2015 will be rich in transmission & exchange - looking forward. 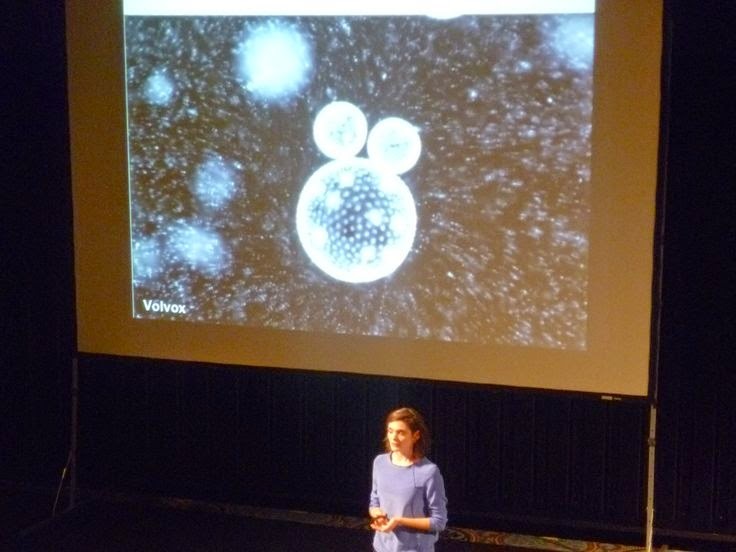 Last September, I was at ScienceComm'14. 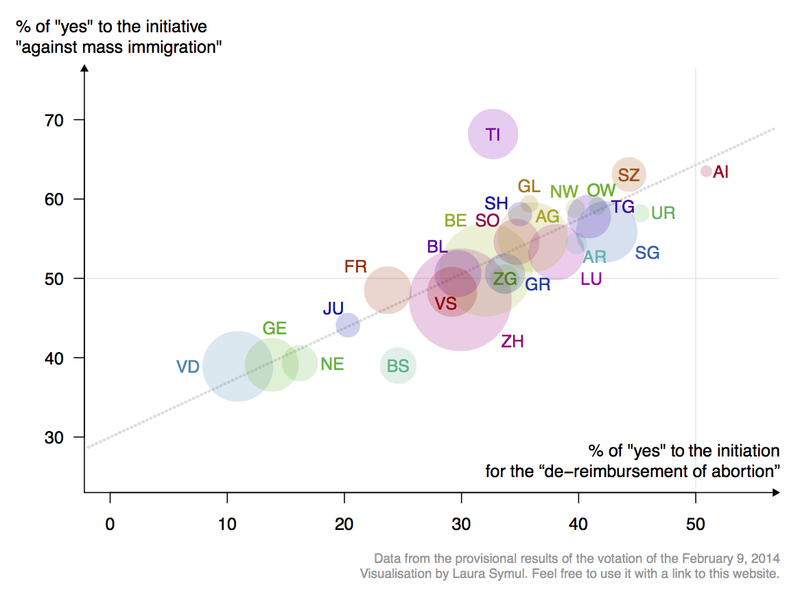 This year, a special focus was given to scientific visualisation - I was delighted. We had very nice & entertaining talks from Andy Kirk & Frank Burnet - among others. 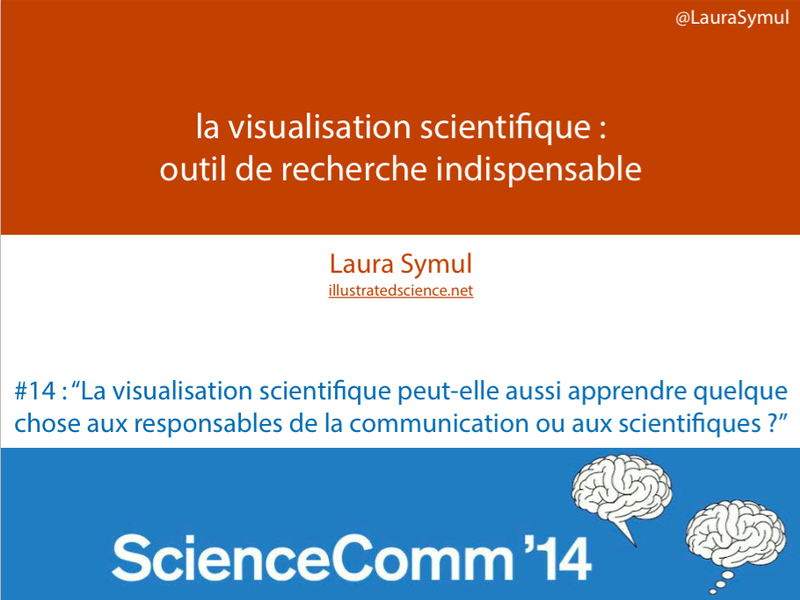 I got the chance to present a short talk on scientific visualisation. My position was that visualisation is first fully part of the research process - viz is only used as a tool for communication in later stages. For the preparation of my talk, I decided to skype-interview Sean O'Donoghue, organiser of the VIZBI conferences, and Bernd Pulverer, chief editor at EMBO Press. It was so interesting to have their point of view on science visualisation that I decided to show the best parts of those interview during my talk. You can download the pdf of my slides here. From January to April, I lived the life of a graphical editor at EMBO Press. 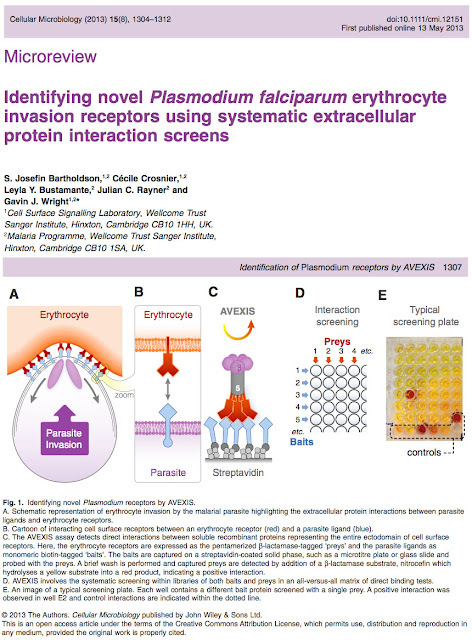 I mainly worked for 2 of their journals : EMBO Journal and EMBO reports. One of the great aspect of working at EMBO now is to be able to attend the VizBi conference in the DNA building next door. Also good to see that the organisers manage to keep this relax and friendly atmosphere that I enjoyed 2 years ago. Original data can be found on the confederation website. Thanks to the journalist Stéphane Gabioud for this sequence. Original video in french. Activate the caption on YouTube player for english subtitles. After 4 years spent at EPFL (Ecole Polytechnique Fédérale de Lausanne) for my PhD thesis in the lab of Félix Naef, I decided to create this 5 minutes animation to explain my research to my friend and family. I used flash and after-effects to create the present animation. Redrawn for "Cellular Microbiology". Original paper online here. 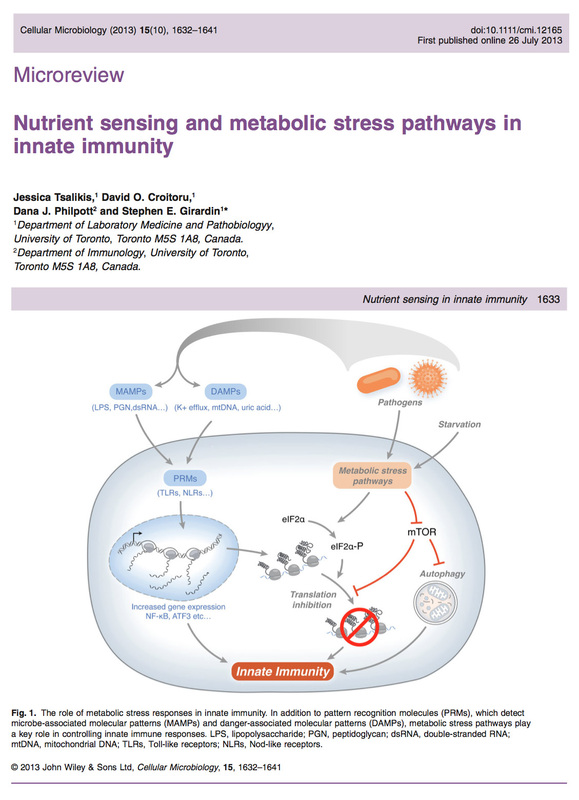 Copyright to John Wiley and Sons, Blackwell publishig Ltd. 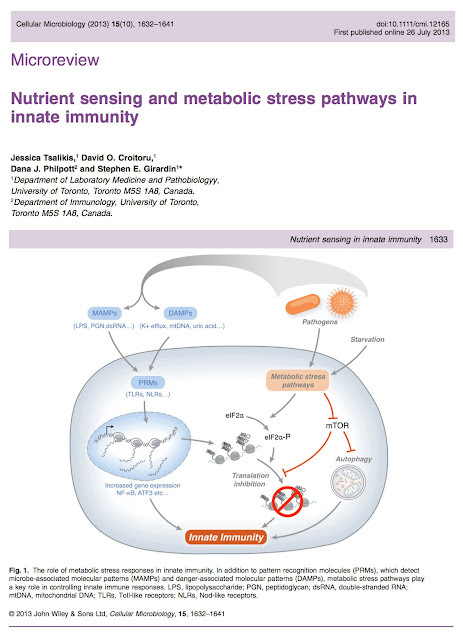 I've been starting working for Wiley publishing group as a free-lance to redraw review figures for the "Cellular Microbiology" journal : click here for more info. Published redrawns will be posted here in the coming weeks. For prof. Courtine, EPFL (http://courtine-lab.epfl.ch/) for a comment in the Lancet.